Charges have been filed in Cerro Gordo County District Court against a former social worker who allegedly gave false testimony in child welfare cases. 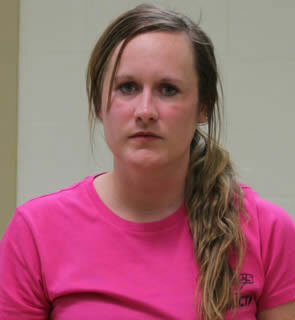 The Iowa Division of Criminal Investigation says that 30-year-old Chelsea Gray of Lawler, a former Social Work II Case Manager with the Iowa Department of Human Services, was arrested on Monday and charged with three counts of perjury. Last June, District Associate Judge Adam Sauer found Gray told “lies and misrepresentations” during a proceeding in which parents were unfairly stripped of their rights to four children. Cerro Gordo County Attorney Carlyle Dalen said in October he would refer Gray’s case to another agency for investigation. Dalen at the time said he wanted to ensure that the potential criminal matter could be evaluated fairly and independently since his office uncovered Gray’s false statements and brought them to the court’s attention. The investigation was completed by the DCI and the Hancock County Attorney’s Office is acting as the special prosecutor in the case. If convicted of all three charges, Gray could face up to 15 years in prison.